Natures Walk Studio: Sun gold! 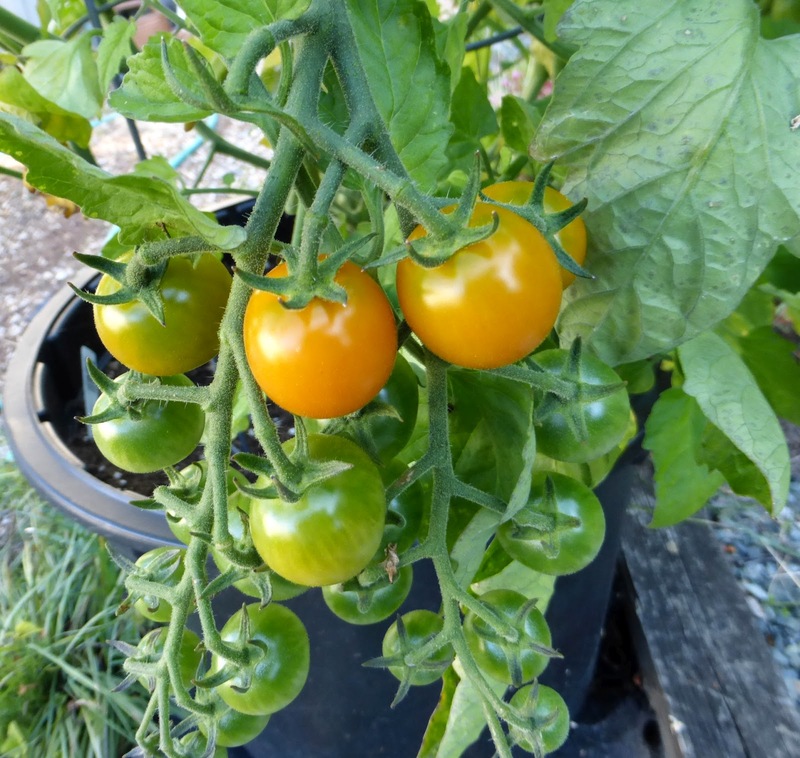 These are our favorite little cherry tomatoes... Sun Golds! It's hard to get enough for a salad, as we tend to eat the as quickly as we pick them. That's really the very best way to eat cherry tomotoes, pick 'em and pop 'em in your mouth. Yum! I completely agree with you! That's the way I like cherry tomatoes the best - they seldom make their way into the kitchen since my daughter and I eat them right from the bush.